For me, I have to feel something pretty intensely to get inspired enough to write a song about it. The other night, I flipped through my notebook of song fragments and was disappointed to find that my last six or seven were...pretty much about the same thing. And sure, there are people who make their careers singing about heartache but, eh. I don't think it'll be me. Michael Gaither doesn't have that problem at all, though. Hey Karma is an anthology of imaginative and witty compositions delivered with a warmth that's difficult to find in these edgiest of days. 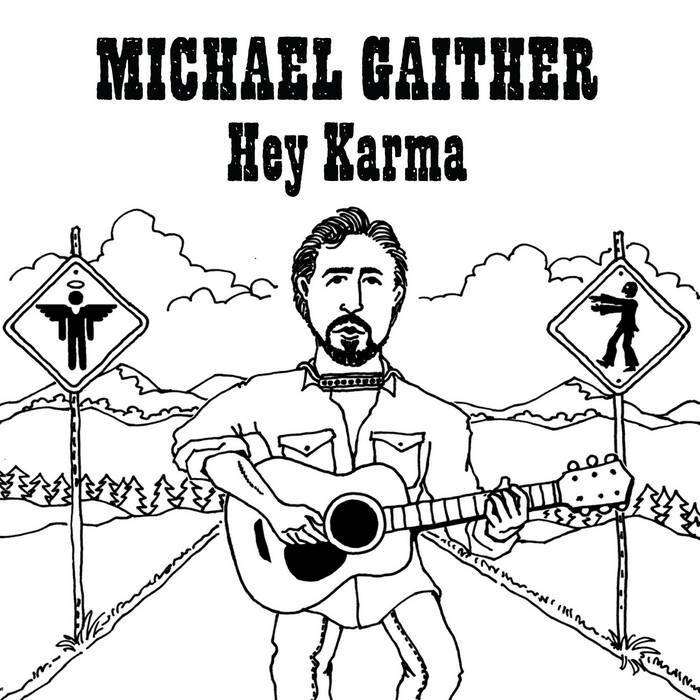 Gaither's active imagination brings us to the gates of Graceland, ruminations on how karma works, a zombie attack on Boise, Idaho, and a corporate love song that studiously and admirably avoids crude double entendre. Gaither's brand of folk is gentle and insistent. You get the sense that these are stories Gaither needs to tell, but unlike most of the songs on here they don't sound as if he's had to rip them from his soul. (It's a nice change of pace.) Rather, these songs are the best expression of a truly creative and idiosyncratic observer of the world. If you sit still long enough, Hey Karma will take you places you hadn't anticipated.